Even teeth that are seemingly healthy, or just have superficial tartar on them may have more serious problems extending into the root or adjacent bone. For example, cats of all ages (even wild cats) are prone to a condition called tooth root resorption. In this condition, the roots of teeth are eaten away and replaced with bone. A cat may lose these teeth altogether or have chronic pain as a result. X-ray images of these faulty roots quickly reveal there is a problem that needs to be addressed immediately to alleviate your cat’s pain, which would have gone unnoticed without x-rays. 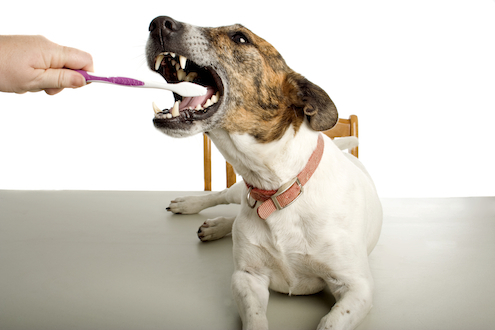 Veterinarians always want your pet to keep as many healthy teeth as possible for as long as possible. Dental x-rays are a tremendous diagnostic tool that can help make the decision about whether a tooth is diseased enough for extraction by being able to assess the root and underlying bone surrounding a tooth. If indicated by x-ray, a veterinarian can prevent your pet from repeating a dental procedure when the tooth becomes a more obvious, sometimes more painful, problem later on. X-rays also allow a veterinarian to see if the roots of teeth are malformed or if there is an oral mass, information which can be vital for your pet. Diagnostic tools such as dental x-rays are extremely valuable when treating pets. 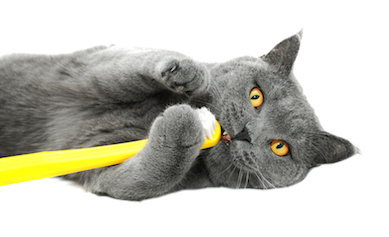 Our pets can’t complain when they have a toothache or tell us where it hurts. Dogs and cats will continue to eat in spite of lesions in their mouths. They will swallow food without chewing or chew exclusively on one side to avoid pain. Aside from the damage to teeth and the surrounding structures, dental disease and the chronic inflammation it brings has also been associated with systemic illnesses such as diabetes and heart disease. Dental radiographs are often our best indication that our pets are living with chronic discomfort and oral inflammation. If your pet is due for a dental cleaning or for any surgical procedure, x-rays can be taken while your pet is under anesthesia. Please let our veterinarians help your pet live a pain free, healthy life by saying yes to dental x-rays.